Master Automotive Will Repair Your German Vehicle | Call Now! 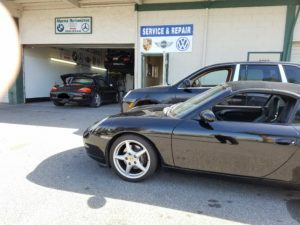 For over 20 years, Waid and his team at Master Automotive have been providing the South Bay Area cities of San Jose and Santa Clara with fine German auto repair. Master Automotive is a German car shop staffed with Expert Mechanics have been providing the Santa Clara County in Northern California of the south SF Bay Area including San Jose, Sunnyvale, Mountain View, Campbell, Los Gatos and Milpitas with the best quality service, specialized Performance and repair maintenance for Audi, BMW, Mercedes Benz, Mini Cooper, and Porsche vehicles. Our staff Waid Larry Terry Marvin and Michael are factory trained and certified Master Technicians providing the highest standards in Precision workmanship and motorworks from engine Upgrades to custom Autoworks and race preparation on a wide range of Sports German automobiles. Waid is a European car expert an Audi and ASE Master Certified. Waid and his team have factory and dealer training at Audi, BMW, Mini Cooper, Mercedes Benz, and Porsche. Master Automotive uses dealer level diagnostic tools to perform simple to high level tasks on your BMW, Audi, Mini Cooper, Porsche or Mercedes Benz vehicle. From major repairs to preventive maintenance, we can take care of all of your service needs. We are happy to preform any service from a simple oil change to a major engine repair. Our team will investigate any “funny noise” or shimmy, or tell you why your check engine light keeps coming on. Master Automotive will also perform your factory recommended maintenance services – often at ½ of the cost of the local dealer. Master Automotive is here to make sure your are getting the performance and reliability you expect from your luxury German automobile. Our staff will work with you every step of the way to ensure you are satisfied with your service and confident your car is getting the attention it deserves. Call Master Automotive today to experience San Jose’s finest German auto repair shop.